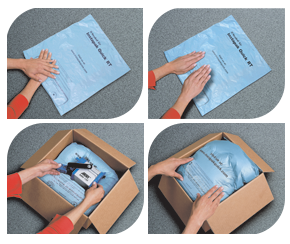 Instapak® packaging foam is a hugely versatile, high performance cushioning material. In order to ensure that Instapak ticks all the boxes for you, there are many system types available. These range from Instapak Quick® RT which disposes of the need to have on-site equipment, right through to a wide range of high speed foam in bag systems. Instapak foam is an expanding polyurethane foam and comes in a variety of densities to suit your requirements. As well as a choice of Instapak foam densities, there are also a choice of how the Instapak foam can be dispensed. Depending on your usage or specific requirements you can opt for Instapak foam in place technology, which is a hand held foam dispensing system or Instapak foam-in-bag technology, which is based on the same principal as the hand held foam dispensing system, however the Instapak foam is dispensed straight into a bag to allow for a faster and cleaner process. 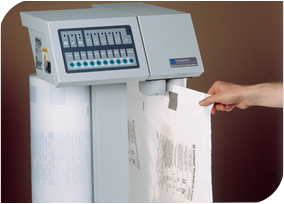 If one of the Instapak foam dispensing systems isn’t for you then there is a choice of either Instapak Quick® RT which is a flat preformed bag with two pockets of the Instapak foam component within the bag ready to be activated. 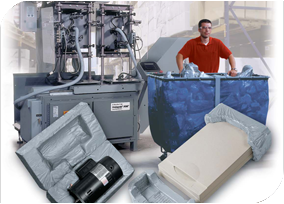 Or Synergy Packaging® Solutions has the machinery and the expertise to design a pack and pre mould the Instapak foam cushions for you. All of the above options are listed below in more detail. The Instapacker tabletop foam dispensing system provides superior protection from a simple and compact foam in bag system. This affordable Instapak foam in bag packaging system combines the proven reliability of the Instapak hand held system with the convenience and cost effectiveness of the foam in bag process. The easy to use Instapacker table top foam dispensing system has an extremely small footprint but can make a big impact on your shipping and packaging operations. 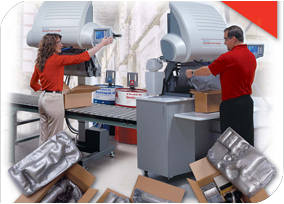 Capable of producing up to 16 Instapak foam filled bags per minute, this versatile system can support the packaging needs of shipping rooms, multiple packaging stations and even the production floor. 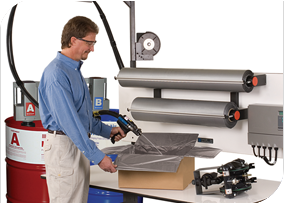 The SpeedyPacker foam in bag dispensing systems provide all of the benefits of the other Instapak foam dispensing systems, however these stand alone machines are faster, producing up to 21 foam filled bags per minute. The bag sizes are fully adjustable allowing the ultimate flexibility to your packaging requirements and as well as traditional wet bags, you can also produce a wide range of the patented Continuous Foam Tubes (CFT’s). The SpeedyPacker provides unparalleled productivity and product protection at the touch of a button. 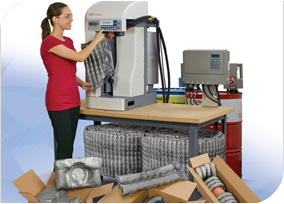 The Instapak Complete system is the latest in “Continuous foam tube” technology. The machine is able to produce much smaller diameter tubes than other Instapak machines. The benefits this brings are improved cost effectiveness and versatility. Additionally the system forms tubes in a convoluted shape which allows them to be folded and formed around your product. The system can be used with the a wide range of Instapak foam formulations and will also produce the more traditional Instapak “wet bags”. The Instapak 901 hand held foam dispensing systems are versatile yet simple to use. The CE approved all electric operation is safe and reliable to use. The Instapak foam hand held dispensing system is ideal for small or large packaging operations, with its electric metering pumps and self-diagnostic controls it guarantees that top quality Instapak foam is dispensed as and when you want it. One of the main advantages of the Instapak Quick RT is that it works at room temperature so there isn’t any requirement for warmers etc., this means that you can make the perfect Instapak foam cushion whenever or wherever it is required, giving you the ultimate flexibility without compromising on the quality of the foam cushion. If you have a requirement for Instapak foam cushions but do not wish to purchase equipment or do not like the thought of having Instapak foam component drums on your premises, then our designers will be happy to work with you to develop the correct Instapak foam solution. We will then manufacture the Instapak foam cushions using our own equipment and deliver just-in-time to your premises. As Synergy Packaging® Solutions is a foam packaging converter and not a manufacturer of raw materials, this is just one product / service within our extensive range.